Excuse the colour-cast and darkness of the photo -- it was taken at night, in a room lit by a low-energy bulb! Around 100 hours in to this portrait. 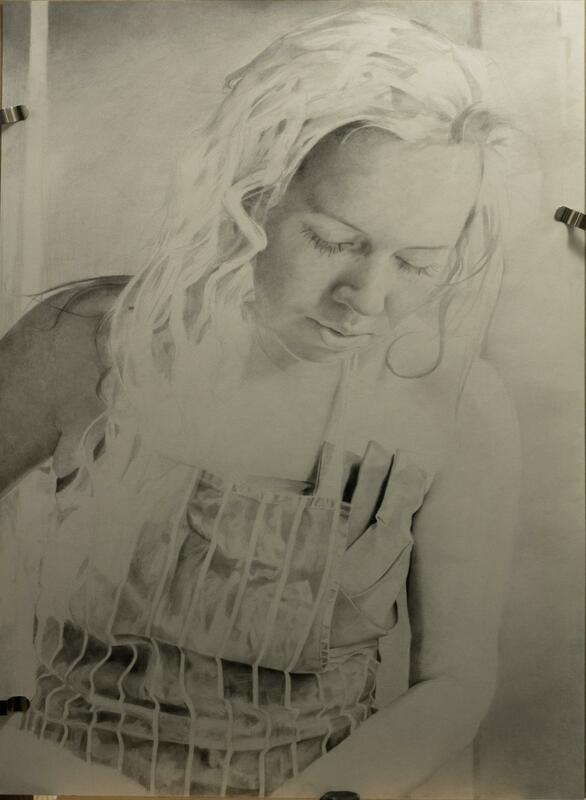 This image, Pencil portrait progress: Jess in Apron - 100 hours , by Sam Haskell is licensed under a Creative Commons Attribution-NonCommercial-ShareAlike license.